The University of East Anglia has launched a new British Archive for Contemporary Writing (BACW). The following information is drawn from publicity promoting the launch. UEA intends to grow its existing literary collections significantly, most notable of which is the extensive personal archive of the Nobel Laureate, Doris Lessing, and literary material from other prize winning authors such as Naomi Alderman, Tash Aw, Malcolm Bradbury, Amit Chaudhuri, J.D. Salinger, Roger Deakin, Lorna Sage, WG Sebald and the acclaimed playwright Snoo Wilson. 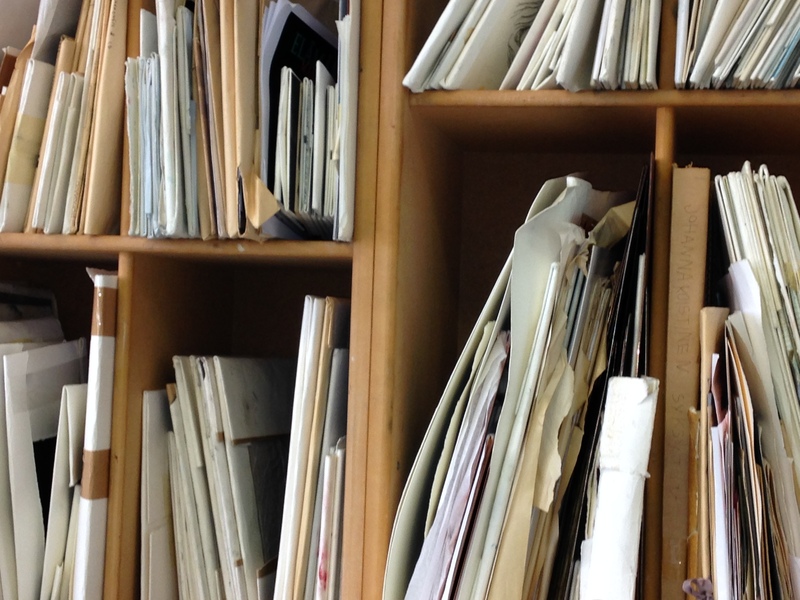 The archive is in two parts: The Collection part of the archive contains writers’ archives fully gifted to the University or on long term loan, with an emphasis on long term preservation, discovery and access. To further enhance the archive, UEA is also establishing a Storehouse initiative, an opportunity for authors to loan manuscripts and related literary material at a much earlier stage in their careers. The aim is to raise author profiles, to build up a truly contemporary archive, and for the wider research community to gain access to materials that would not otherwise be available until much later in an author’s career. The Storehouse will add value by organising and cataloguing the collections and making them more accessible even if authors need the flexibility to remove materials at a later stage. Several writers have already committed to depositing material under the model. It is expected to be dynamic, evolving as new writers come on stream while offering the writer the flexibility to remove materials at a later stage. The Archive includes more than 300 interviews with prominent authors across 23 years of its literary festivals including: Margaret Atwood, Martin Amis, Anne Enright, John Fowles, William Golding, Seamus Heaney, Alan Hollinghurst, Kazuo Ishiguro, P.D. James, Ian McEwan, Toni Morrison, Iris Murdoch, Harold Pinter, Salman Rushdie, Ali Smith to name just a few. These recordings are available for consultation in the archives reading room and a small selection can be viewed on our Website. Nature writing is a key theme within the BACW which already includes the archive of Roger Deakin, pioneer of the wild swimming movement and author of the acclaimed and highly popular, Waterlog: A Swimmer’s Journey through Britain. Although the archive will look to build some of its collections from UEA’s own community of emerging writers it is also keen to attract material from other acclaimed authors produced in, or translated into, the English language. For more information, see the BACW site.